We hope that everyone will come to know and appreciate the special charm of Itasca, the Big Little Town, which we call home. The City of Itasca along with Itasca ISD, Itasca Chamber of Commerce, Paw Print Press newspaper, Itasca Revitalization Committee, local business, and concerned individuals have banded together to promote Itasca and make it inviting to visitors and residents alike. Itasca is very proud of the large number of unique areas that have been developed for the use of our citizens. These areas include Itasca Veterans Memorial Park, Heritage Community Park, Itasca Depot Heritage & Education Center, Lawless Park and the newly revamped Crouch Park. 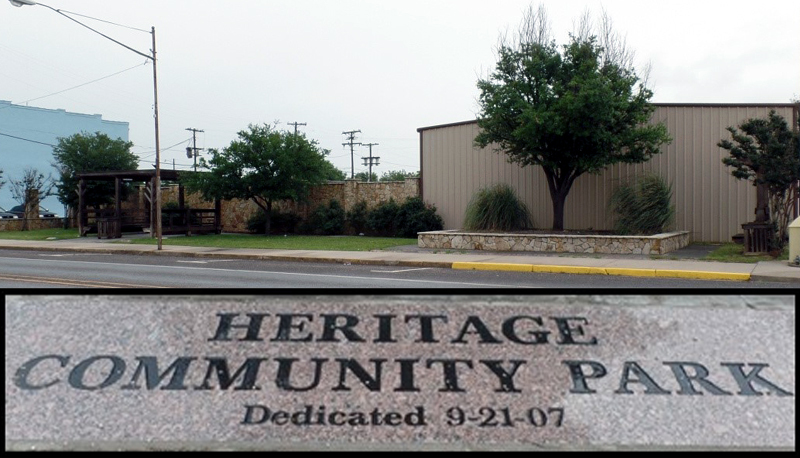 Located at the center of downtown, Veterans Memorial Park and Heritage Community Park complement each other and boost community involvement in the downtown area. 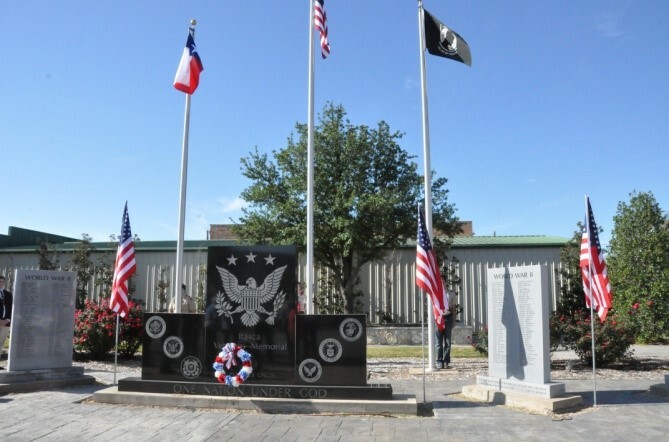 Veterans Memorial Park pays tribute to men and women who have a connection with Itasca and who have served their country in both war and peacetime. The 8 beautiful marble stones are engraved with approximately 2000 names of Itasca area veterans beginning with the Civil War and continuing into recent Peace Time. 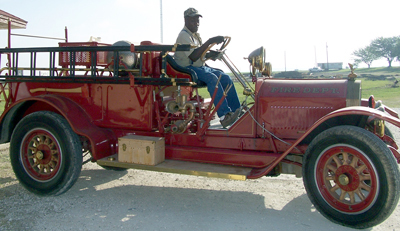 The restored Itasca Depot, the refurbished caboose, an original printing press used by The Itasca Item, and the vintage 1917 Fire Engine make up the Itasca Depot Heritage & Education Center. Itasca Depot Heritage and Education Center in Itasca is a proud recipient of a recent grant of $5,000. from the George G. Alva Hudson Smith Foundation of Hillsboro. the building. The all wooden building was built in 1895 and is operated by the students of Itasca High School. Students participate in community research and create history projects for both elementary students. Students of Itasca High School, community members, and the school district are grateful to the George G. Alva Hudson Smith Foundation for all of their continued support. 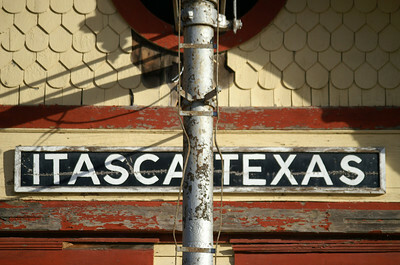 In 1972, the depot was moved from downtown Itasca to Hooks St. by H.D. Snow and Son House Moving Inc., and in 2006 the same company moved it once again: this time from Hooks St. to its new and permanent location at 105 Wampus Cat Drive. 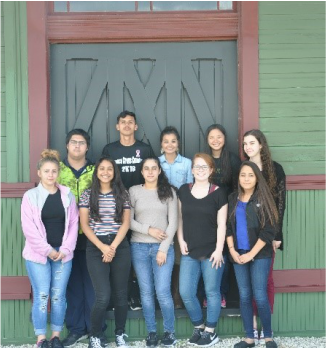 The Itasca Depot Heritage & Education Center was restored with a 1.8 million dollar grant procured by the students of IISD under the leadership of Ms. Judie McClure. ​ The extensive collection of artifacts and Itasca memorabilia shares the heritage and history of Itasca, The Big Little Town, with visitors, ex-Itascans and residents. One of the most interestingly named parks in Itasca is Lawless! Lawless Park is located at the corner of Monroe and Lamar Streets and directly behind Itasca City Hall and the Itasca Police Department. Over the years, many Itascans have guessed about the relationship between the name of Lawless Park and the Itasca PD, but to their surprise, there is no connection. The park is named in honor of the couple, James and T.A. Lawless, who sold the land (located in the exact center of Itasca in 1915), to the city 100 years ago on June 19, 1915 for one dollar ($1.00) with the stipulation that it would always be “used for the purpose of a Public Park.” During the last 5 years Lawless Park has been landscaped and reworked which makes it ideal for the annual Homecoming Pep Rally and super fun birthday parties. 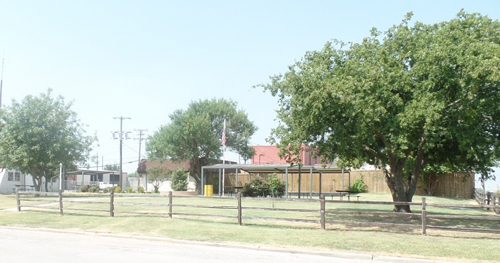 Located on S. Hill St. between East Marrion and East Spurgeon Sts., the park has recently been expanded in both area and with many new amenities and playground equipment. The land was donated to the city in memory of Mamie Crouch, who died in 1981, by her husband, W.T. Crouch and her children. The Itasca Economic Development Committee has also pitched in to help with some of the upgrades to this park by writing grants. as well as family reunions and get-togethers, basketball goal and play area, swings and playground equipment for the younger crowd and the recently added skateboard park. 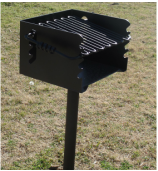 Just in time for Summer the City had added 2 charcoal/wood barbeque grills for the communities use.